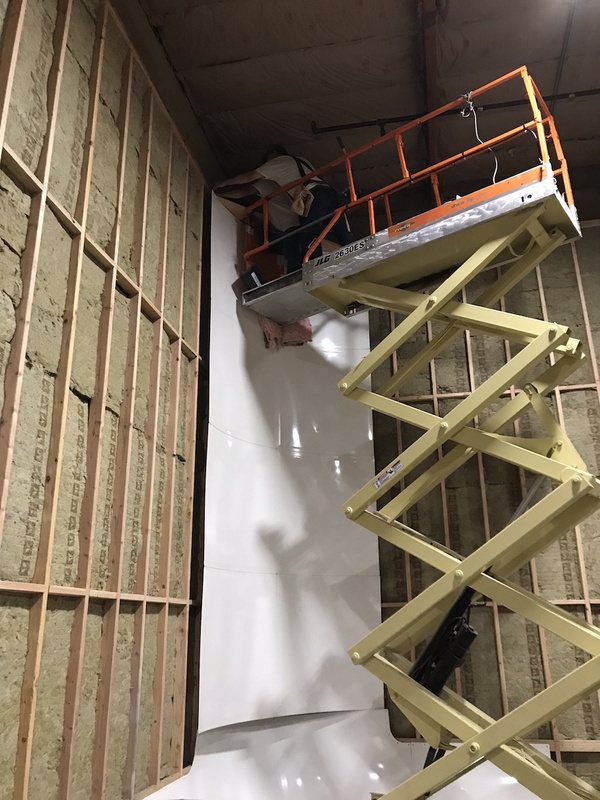 Do you have any idea how many sheets of 4' X 12' drywall it takes to face 140 linear feet of cyc wall that's twenty feet high? If you do, we'd appreciate it if you'd pass that along. Our contractor is estimating it at "a heck of a lot more than you want to know," and we feel like we should double-check that. Everything has been going as planned. 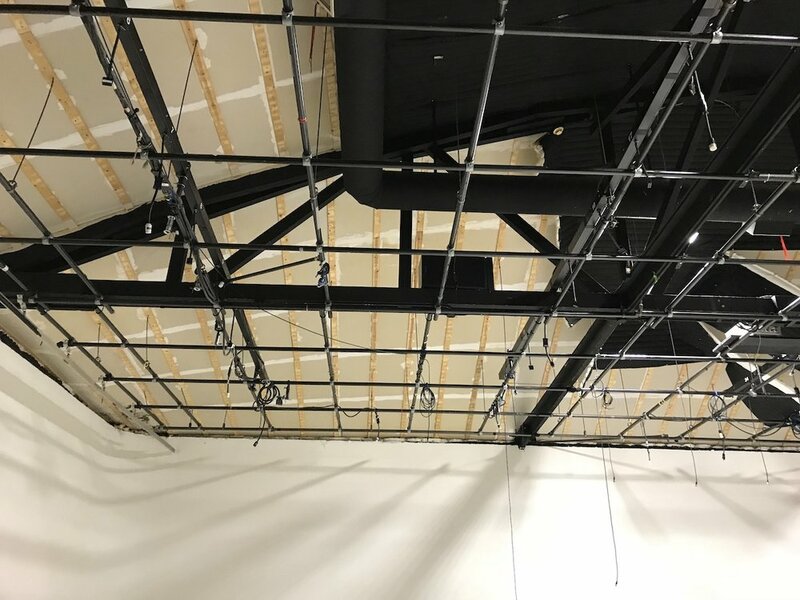 Even though it is taking a mind-boggling amount of sheetrock, we are on schedule to be finished before our first session in the new facility. Back to the cyc wall for a minute. Did you know that we have one of the world's leading manufacturer of modular cyc wall studio background systems right in our own backyard? Pro Cyc, located in Clackamas, has made all the cove parts for our current project. Behind the sheetrock we're using Rockwool insulation, which is made up of "wool" drawn from molten rock. Just picture a Balrog spinning magma like it's cotton candy. Anyway, because it's made from actual rocks (can't get over that) it has a number of amazing properties, including superior sound deadening. Now we know why it's so quiet in those underground caves. Scroll down to see more in-progress pictures than you care to look at.